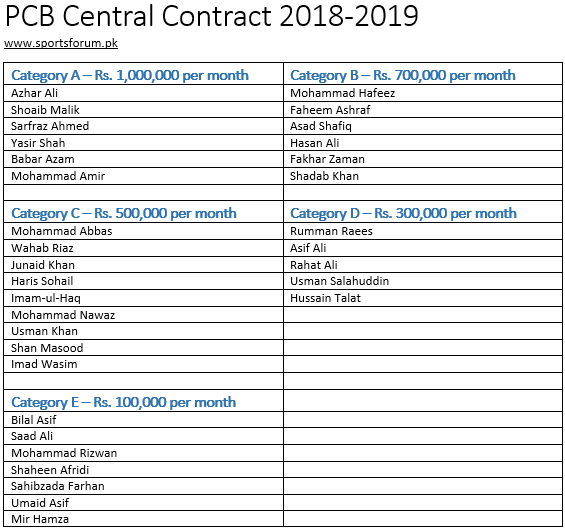 Just a few days ago PCB offered central contract to players and since there was not thread about it so I decided to create. Let's discuss! They have also created one more category called "E" in addition to the regular A, B, C and D.
perfect sharing about central contract and they have put every player according to his experience and performance.